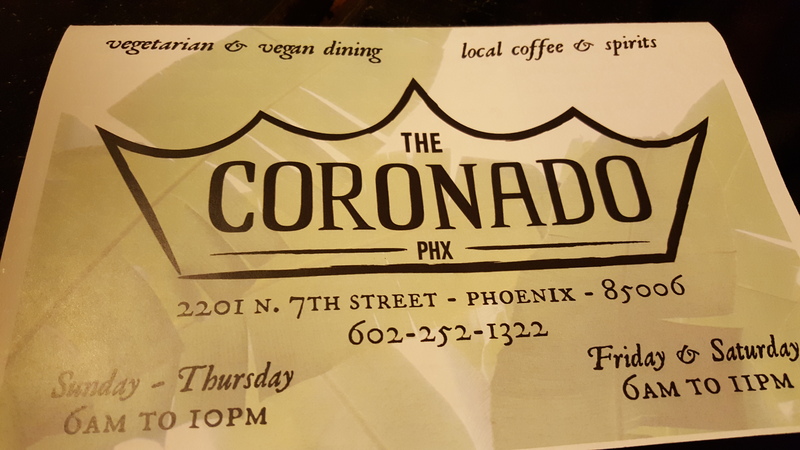 The Coronado is a vegan/vegetarian meets coffee shop/bakery meets craft cocktail fusion that I fell in love with. 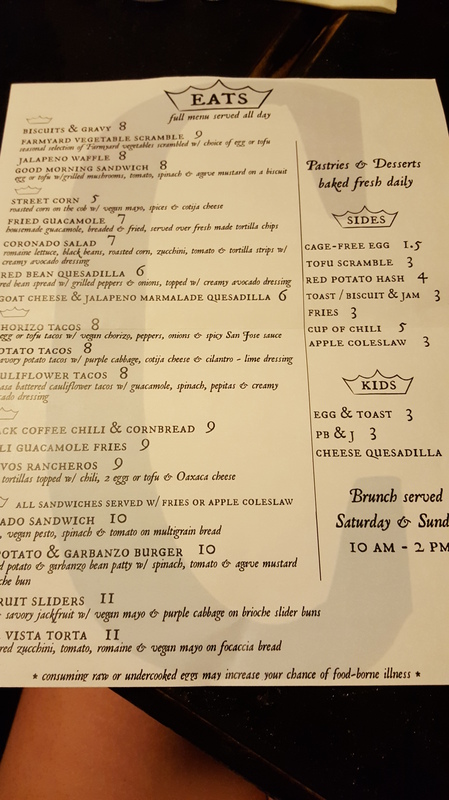 The menu has a lot of South of the Border influence which was fitting in AZ, only it’s done with such seamless uniqueness that it’s bound to make you forget how you previously enjoyed these classics. They also serve jackfruit which was my first introduction to the fruit coming from the fig and mulberry family. I didn’t order it this trip, but it was exploding all over Phoenix menu’s. It’s texture makes it the perfect meat substitute because it shreds similar to chicken or pork. How cool! See how they ranked. 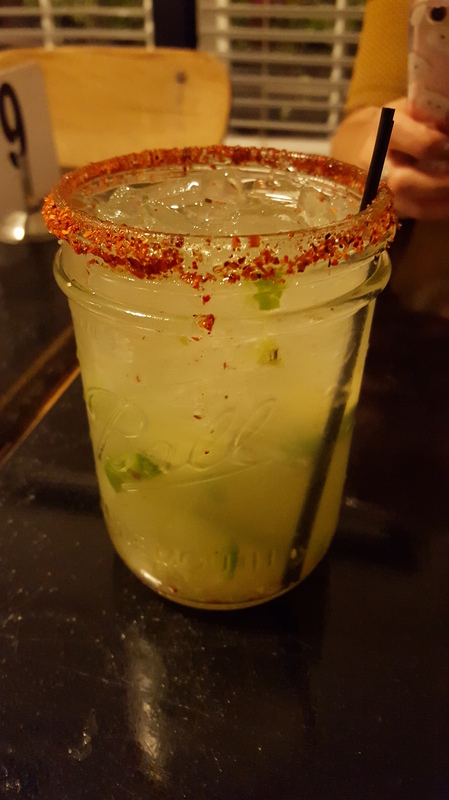 Tequila, Cointreau, simple syrup, fresh muddled lime, jalapeno. Spicy! Major points for muddling and mixing up a craft cocktail just like that. Fresh ingredients really make any cocktail taste that much better. The salt/pepper rim added another layer of spice and flavor. Cauliflower Tacos: 3 masa battered cauliflower tacos w/ guacamole, spinach, pepitas & creamy avocado dressing. These were the best tacos I have ever had! The cauliflower was tender, yet crispy, and so satisfying. I did not miss the meat whatsoever. The creamy avocado dressing was light, the pepitas added crunch and the spinach contributed freshness. These tacos were recommended and now I see why they are the best thing on the menu. 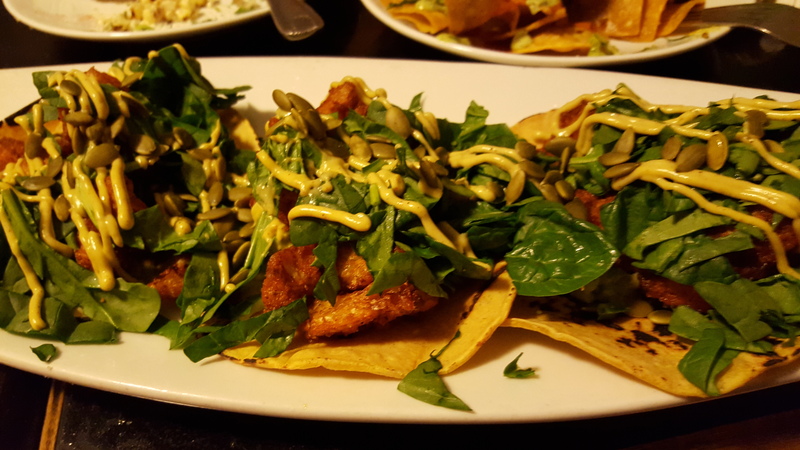 Fried Guacamole: House made guacamole, breaded & fried, served with fresh made tortilla chips. I didn’t know you could fry guacamole, but you can and it is out of this world delicious. It was crispy , golden, yet still packed with that creamy, fresh guacamole we all love. The corn chips were fresh and still warm. 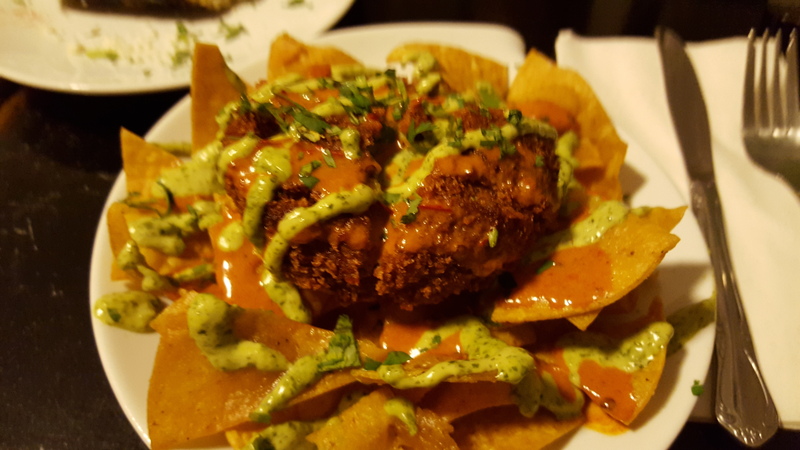 It was topped with a creamy chipotle and avocado sauce which complimented the whole dish. My second favorite dish here! 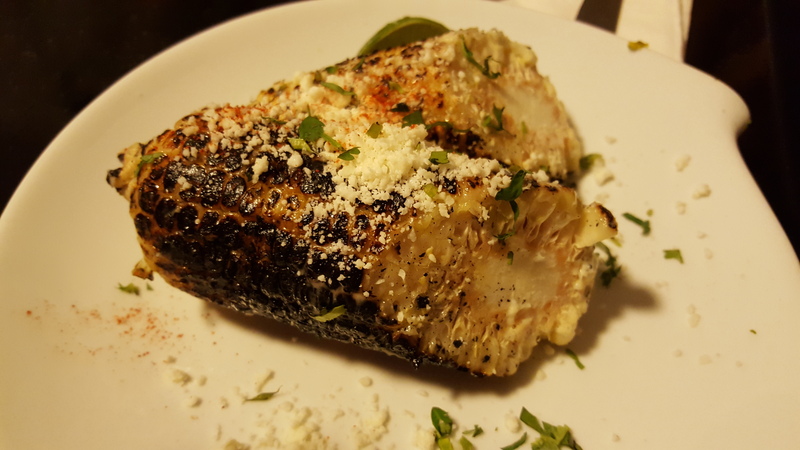 Street Corn: Roasted corn on the cob w/ vegan mayo, spices & cotija cheese. Smoky, salty, and sweet. This amped up normal corn on the cob and took it to a whole new level. This is my new way to eat corn. 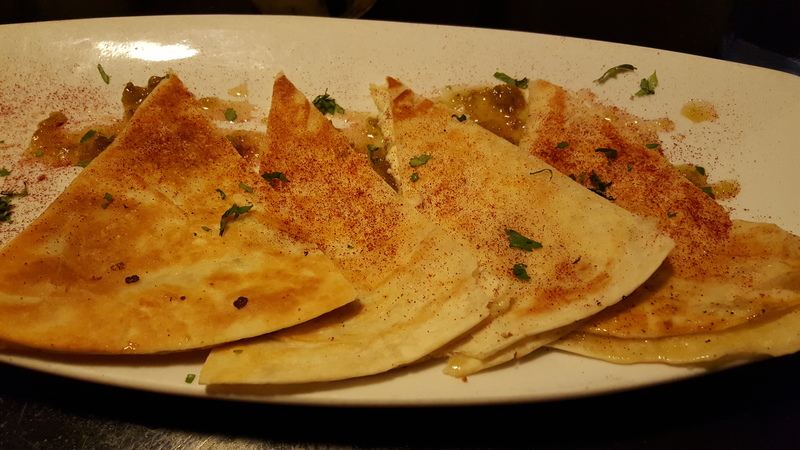 Goat Cheese and Jalapeno Marmalade Quesadilla: Sweet, spicy, and creamy. This quesadilla was more sweet than the savory quesadillas I am used to and I liked it. It was different in a good way. The only thing I would improve on was the heavy paprika sprinkled on top. This was a little too much for me, otherwise this was really tasty. A lot of the spots in Phoenix are old houses turned restaurants/bars. The Coronado is just like this and has so much character. The restaurant is divided into intimate rooms filled with art and natural wood floors. Now, I am not vegan by any means, but I do like to experience good for you food, and the Coronado is serving up the best. I felt great indulging in the delicious menu items without losing tons of flavor or having to minus off a bunch of toppings.